to 1000m. 44 mm in diameter. It is in near mint 94% condition. Bead blasted finish. The ultimate tool watch. The SDR comes on a Isofrane rubber strap with Isofrane buckle. 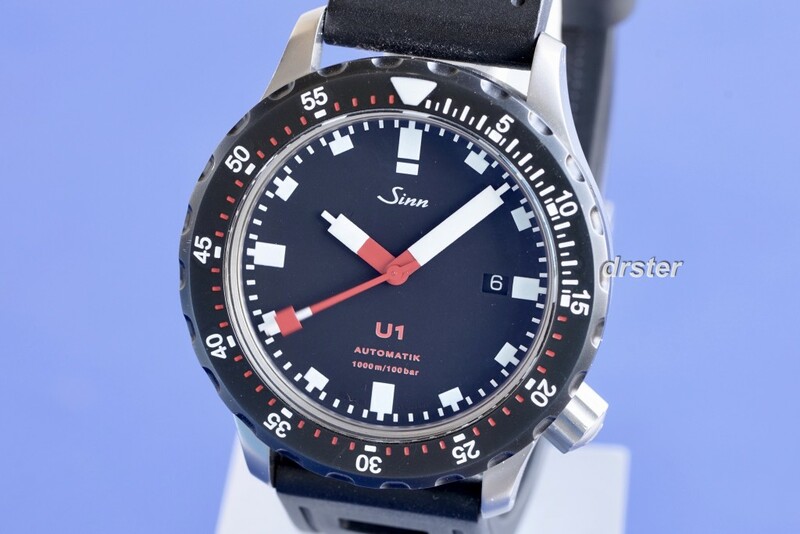 My Sinn U1 comes with double boxes, manual and warranty card. three days if not as described for a full refund less shipping. Returns accepted only if not as described. I have tons of references on TZ, WUS, TRF. Good guys on Watchnet. 100% positive feedback on ebay as drster. MY LOW PRICE: $1350.00. Includes US shipping. Payment by wire, cashiers check or MO. Paypal + 3%. Next Topic: FS: Straps galore! bespoke, Camille Fournet, Rousseau, Omega, others.